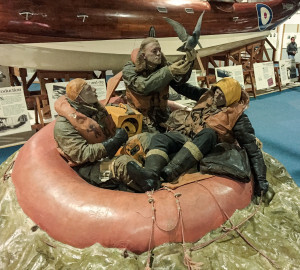 This is an image of an exhibit at The RAF Museum in Hendon North London. It depicts an event that happened to all too many aircrew during the Second World War on both sides – being shot down into the icy waters of the North Sea and trying to survive until rescue arrives. 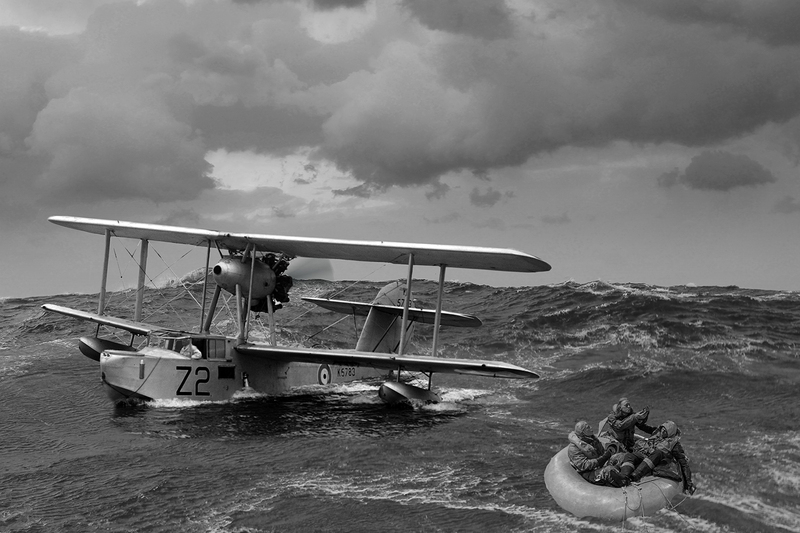 Both sides operated air-sea-rescue services to rescue these airmen with the allied side using, amongst other aircraft, the Supermarine Walrus which often had to operate in horrendous weather. Could I bring the exhibit to life in a realistic situation? The RAF Museum, by the way, makes an amazing day out. Should you ever feel like a visit you will be well rewarded. The exhibit of the Handley Page Halifax as it was when it was recovered from a Norwegian Lake is worth the visit by itself.